To furnish the diverse requirements of our clients in the best possible manner we are involved in offering an extensive range of General Engineering Machine. Main engine / generators / compressors /purifiers / pumps. We have in store for our clients Shaping Machine, which is widely appreciated by our clients based across the country. Our machines are designed and developed in accordance with prevailing market trends and industry requirements. 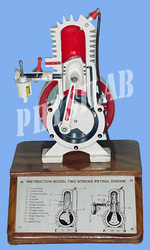 We use high grade raw material and precision engineering components to fabricate these machines. Advanced Technocracy Inc. is Manufacturer, Exporter & Supplier of Model Of Slit Elector. Showing the main canal, slab, tunnels with curved piers, escape channel and gates with regulating arrangement. Complete on about 70x50 cm base board. The VIBLAB is designed to help in conducting various experiments to illustrate and verify the principles and relations involved in the study of vibrations. 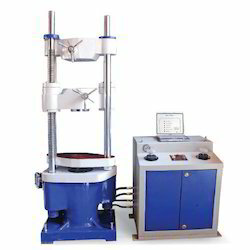 This apparatus enables a comprehensive range of Vibration Experiments to be conducted on single basic framework. The frame is robustly constructed from channel section. Sidhartha Mechanical Works Pvt Ltd. Valve steam seals pressing operation at oncewith equal pressing load and even pressing will occur. manufacture, sale and purchase of special purpose machinery like textile machines, lab machines, hydraulic, material handling.